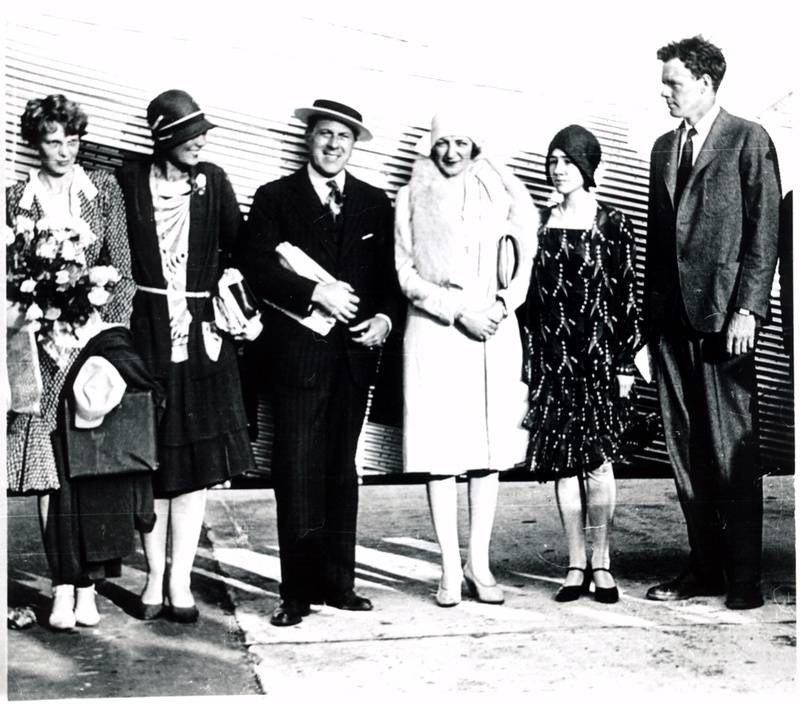 Amelia Earhart with Charles and Anne Lindbergh (right) for TAT's first two-day cross-country service by train and Ford Trimotor in 1929. 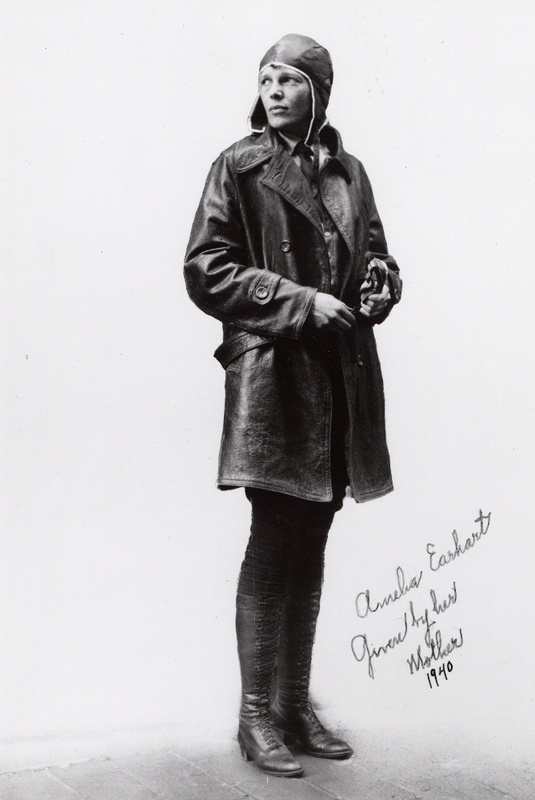 In 1929 Amelia Earhart participated in Transcontinental Air Transport’s first two-day cross-country service by train and Ford Trimotor from New York to Los Angeles. 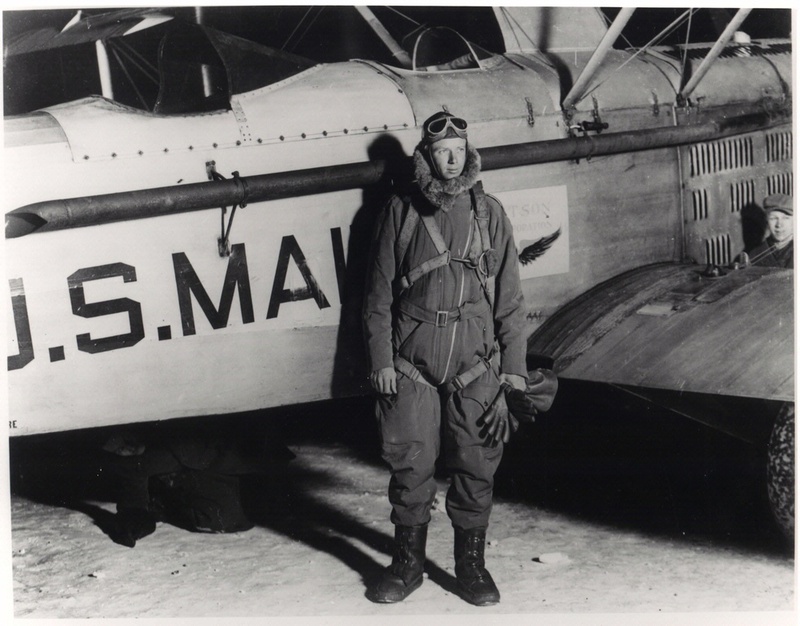 Along the way in Winslow, Arizona, she met with Charles and Anne Lindbergh (right).